Hair is our natural gorgeousness and we treat it with great care. Products for hair health and beauty are always asked for, you only need to present them in the attractive manner. Our template perfectly copes with the task. 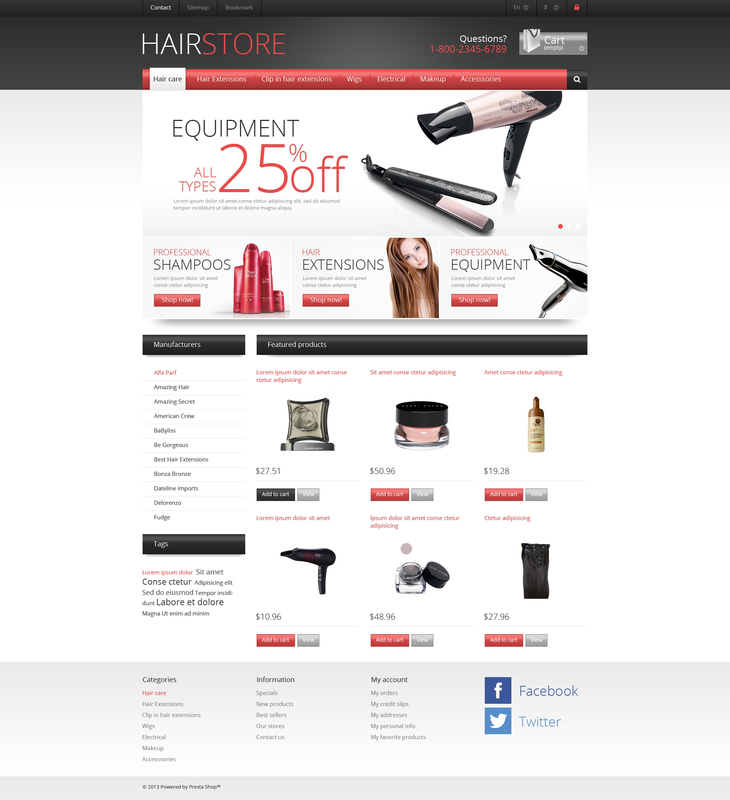 Its clean layout imparts professional look to your products and provides user-friendly navigation. Discounted items are offered in slider gallery and featured ones are arranged in the content area.